Media Size Choose an option20" x 30"30" x 45"
Raise a glass to over a century of heritage and tradition as craft beer flows from the historic Walkerville Brewery. This painting captures the culture of an era. Step off a classic riverboat and transport yourself to a memorable time. Depicted are couple of hardworking men enjoying a refreshing brew made by Hiram Walker himself. 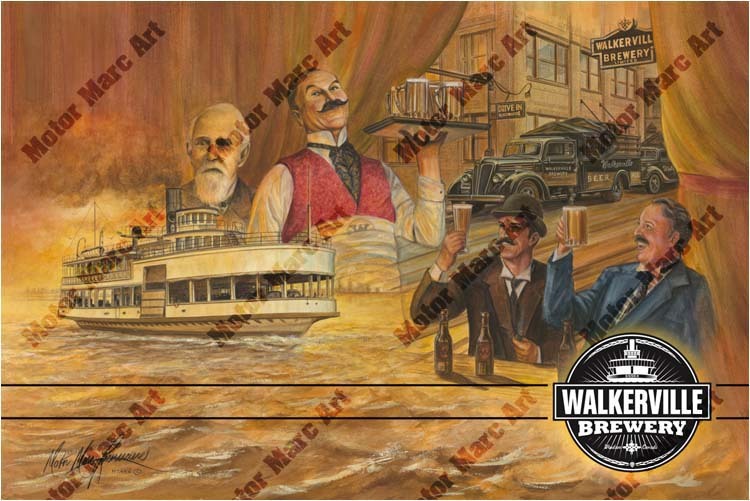 This limited edition work of art is the official label for the Walkerville micro-brewery brand. 20" x 30", 30" x 45"